Lee Fuiman, Director of the Fisheries and Mariculture Laboratory at the Marine Science Institute of the University of Texas (UT) at Austin, will spend four of the next six months based at Mote Marine Laboratory in Sarasota, Florida to exchange knowledge related to his focus on larval fish ecology and physiological ecology. This collaboration is supported by the William R. and Lenore Mote Eminent Scholar Chair in Fisheries Ecology and Enhancement, which Fuiman received as an award from Florida State University (FSU). Fuiman will contribute to a Mote project planned with help from a previous Eminent Scholar, Dr. Charles “Pete” Peterson, to use hatchery-reared snook as ecological probes to investigate the effects of living shorelines on habitat selection and survival of common snook in their nursery habitats in the wild. Fuiman will also work with Mote’s aquaculture team on research designed to increase survival and evaluate the behavioral and physiological competence of the hatchery-reared snook being used as ecological probes. Hear Fuiman discuss his research on Mote's podcast, "Two Sea Fans." Listen here. 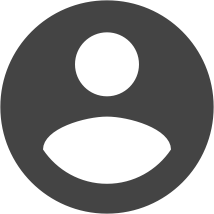 You can also download, rate and review "Two Sea Fans" episodes free in the iTunes store or Apple podcast app. Fuiman produces the UT podcast and radio program "Science and the Sea," at scienceandthesea.org. 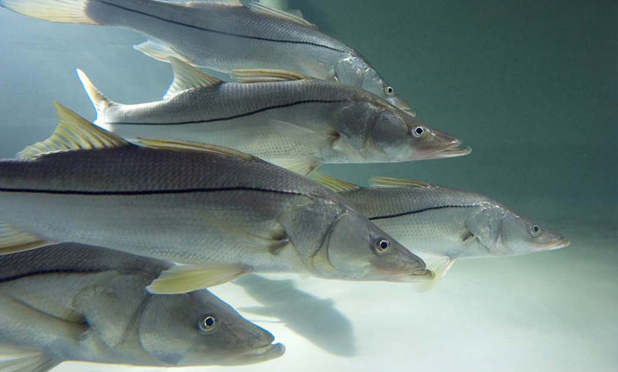 Mote scientists have raised and released common snook (Centropomus undecimalis) in fisheries enhancement studies for decades, using this species as a model to understand how to effectively enhance declining populations of wild sportfishes valuable to the Gulf of Mexico’s economies. Fuiman, who holds the Perry R. Bass Chair in Fisheries and Aquaculture with UT at Austin, has produced about 140 peer-reviewed publications and currently focuses on studying how a female fish’s diet influences her egg composition, and in turn, how that affects the survival, metabolism and other traits of the developing larvae (babies) that get their first nutrition from the eggs. He will work closely with two Mote senior scientists who share his interest in Gulf of Mexico sportfishes: Dr. Kevan Main, Manager of Mote’s Marine & Freshwater Aquaculture Research Program, and Dr. Ken Leber, Manager of Mote’s Fisheries Ecology & Enhancement Program. The William R. and Lenore Mote Eminent Scholar Chair in Fisheries Ecology and Enhancement is an endowment established at FSU by William R. Mote, the major benefactor and namesake of Mote Marine Laboratory. The endowment brings distinguished scholars in fisheries ecology and enhancement to Florida to work alongside Mote and FSU scientists and faculty and supports other related efforts to advance this important field. Fuiman holds the Perry R. Bass Chair in Fisheries and Aquaculture at UT at Austin. He held the Nancy Lee and Perry R. Bass Regents Chair in Marine Science from 2004-2011, earned the Antarctica Service Medal of the United States of America from the National Science Foundation in 2000 and the Teaching Excellence Award from the UT College of Natural Sciences in 1999. His career spans more than 40 years of marine biology research, with a strong focus on fisheries ecology. He earned his Bachelor of Science in Marine Biology from Southampton College at Long Island University, his Master of Science in Fishery Science/Icthyology from Cornell University and his doctorate in Fishery Biology/Ichthyology from the University of Michigan. This article was contributed by Hayley Rutger, Mote Marine Laboratory and Aquarium.